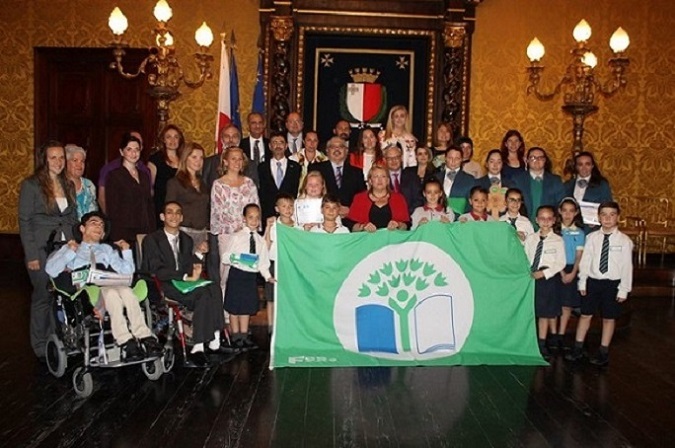 On Wednesday 3rd June 2015, our school was awarded the Green Flag for the first time during the EkoSkola Green Flag and LEAF Awards Ceremony. 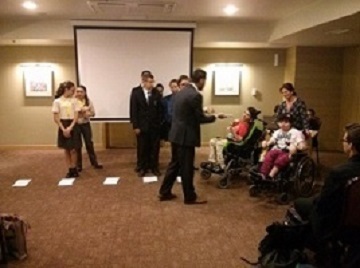 Read article 2 published on a local news portal found on our links section. On this occasion, on behalf of all Eco Schools, our Resource Centre presented a photo frame as a memento to the President of Malta made from recycled material. On 7th May 2015, part of our EkoSkola committee participated in the EkoSkola 4th Young People's Environmental Summit which was dedicated to the Millennium Development Goals (MDGs). The latter are eight goals agreed by all countries and world’s leading development institutions, aimed at eliminating poverty. 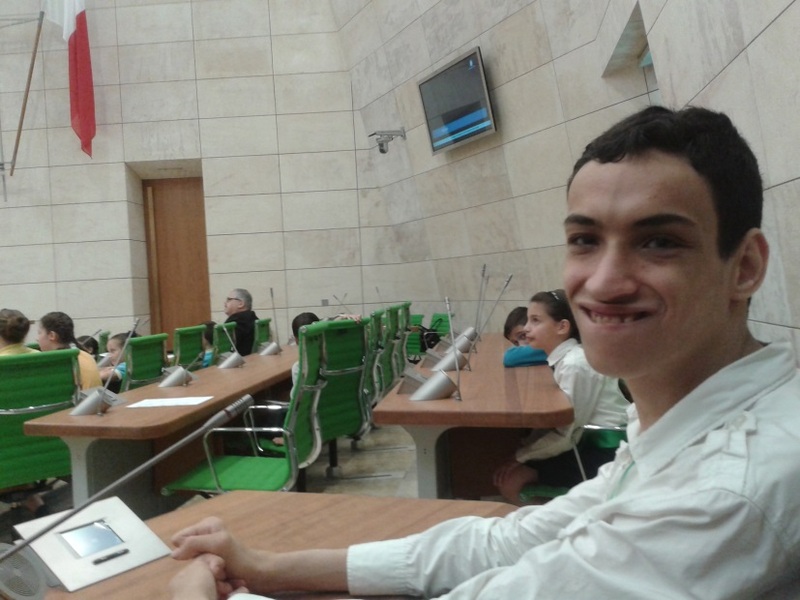 During this Summit, students, coming from various schools around Malta, worked together to formulate a declaration about the MDGs which was then presented to the MPs at the 11th EkoSkola Parliament Session. 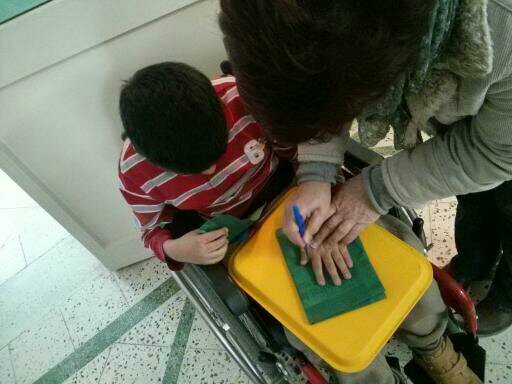 Throughout this scholastic year the students at our Centre worked to highlight the importance of Waste Management. The majority of the work consisted in implementing the 3Rs (Reduce, Reuse, Recycle) on a daily basis. 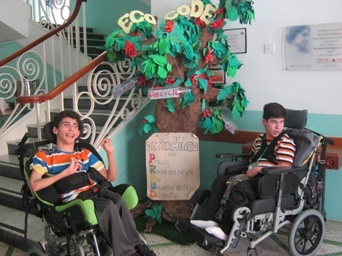 Their importance was also emphasised in our school's Eco Code which consists of a life size 3D project of a tree with slogans hung to it. 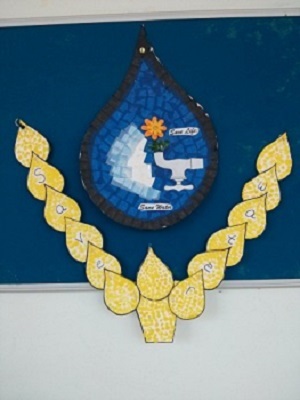 The project was made with reused and leftover material and all students had the opportunity to work on it in their respective classes, art lessons, and even special assemblies. At our centre we make use of a large amount of water daily. We started focusing on reducing water consumption where our students were helped to install hippos in toilets' flushing. We are analysing the collection and storage of grey water for irrigation and domestic purpose. 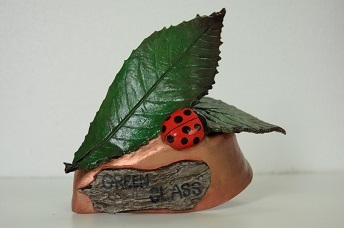 As one of the many initiatives organised at our centre to promote an Eco Friendly routine, this scholastic year, our Resource Centre saw the introduction of a Green Class Award. Every month each class was evaluated so that at the end of the scholastic year, the committee finally came up with the one who embraced mostly an ecological attitude in its daily activities and routine. There was a very high level of involvement and enthusiasm from all classes thus it became clearer that at the end of the year our initial target was no longer an idea but it become a lifestyle.Take a look at the website Gallery. At our resource centre we strongly believe in this saying and strive to put it into practice during our daily lessons and activities that works together to achieve goals. Coming from different locations also means that we can reach out to a wider area of our island. This scholastic year (2014-2015) we all made a joint effort for the Plastic Caps Collection organised by GreenPak, particularly as our Centre is participating in the EkoSkola programme and hopes to achieve the Green Flag. 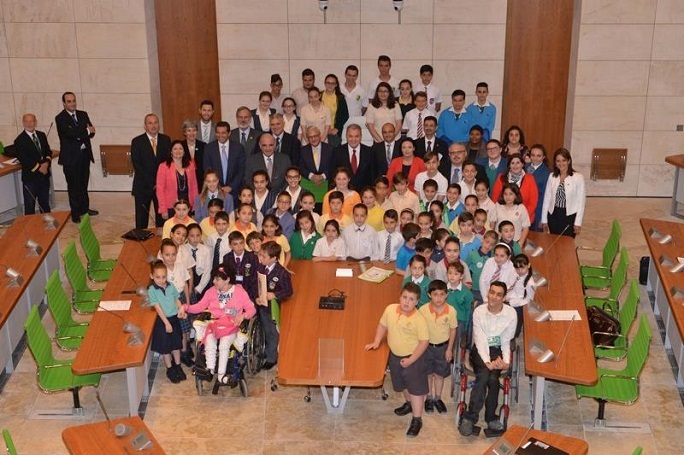 An exceptional average of 7,972 plastic caps per student was collected, leading to the honourable result of placing our school as the highest contributor of the campaign. We would like to congratulate every school that teamed up for the plastic caps collection for its effort. 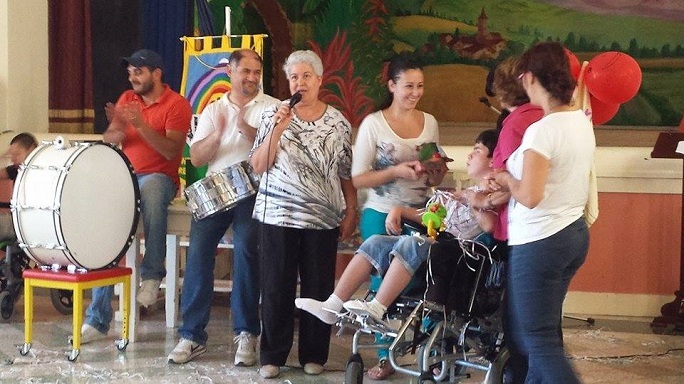 All together we helped raise the considerable sum of €15,000 which was donated to Istrina 2014. 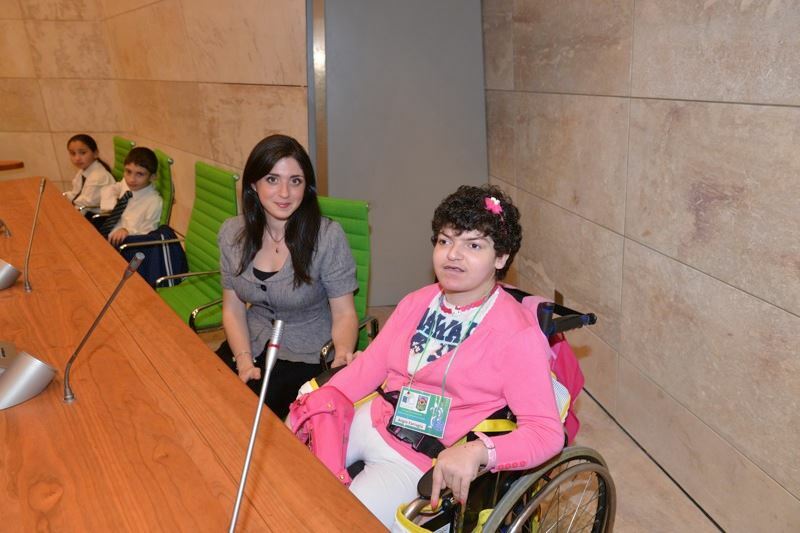 The money is later distributed to NGOs such as The Malta Community Chest Fund. 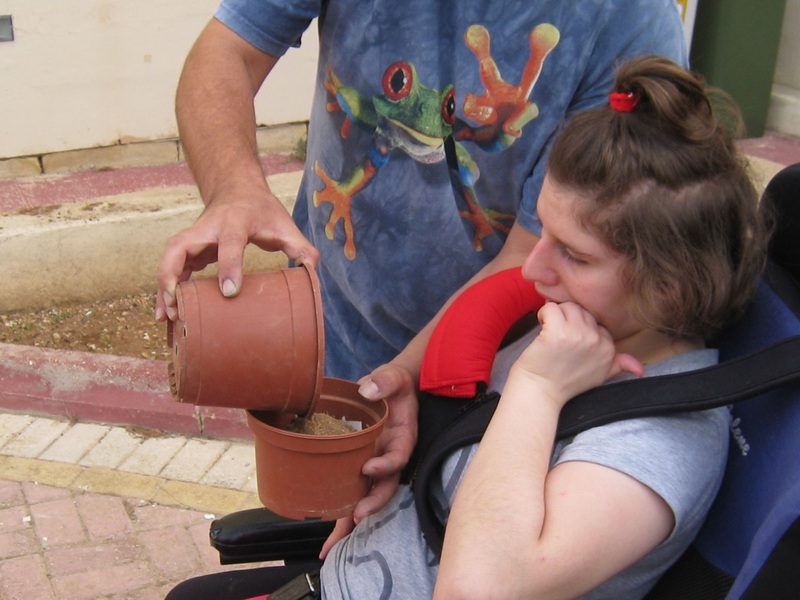 The majority of students who come to our centre, benefit, in a way or another, from the help such organisations offer. Thus for us, participating in this campaign is also a means in which our students can contribute to society and those who are in need. We should all be proud of our work! Not only will the money raised go for philanthropic purposes, but we also helped raise more awareness about the importance of recycling. 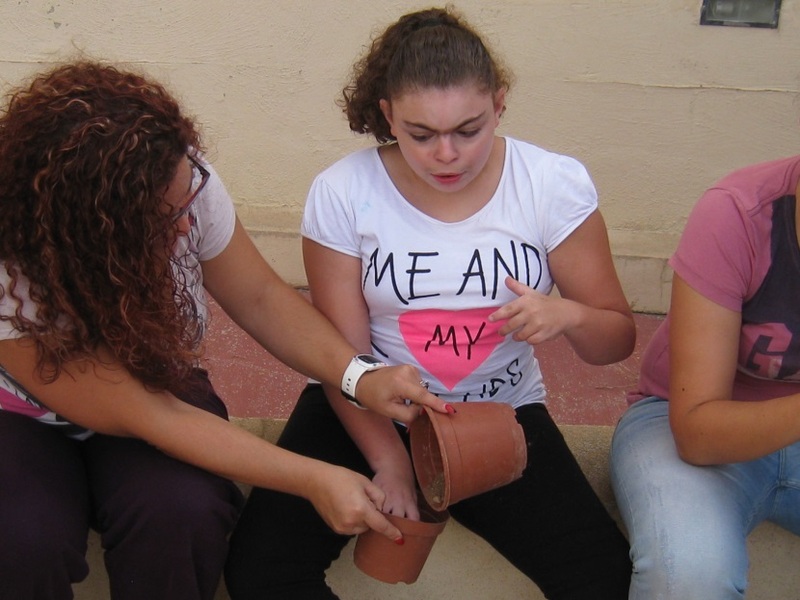 Together with other organisations across Malta and Gozo, we helped reaching a record of 7,274,833 plastic caps to a total of 21,824.5kg and being the highest contributors. This goes to show that if we work hand in hand we can all do and achieve more!